Garden Villa Seminyak For 8 Person In Quiet Place! Great villa very lively ambiance, - clean comfortable rooms and bathrooms, private swimming pool that gets sun most of the day, suitable for your visit with group of friends or family. Sun All day pool, Nice garden near the pool, contemporary kitchen and all facilities. Villa Hidden Oasis 4 is deluxe experience with your family and friends with affordable price that suits your budget. 7 minutes to everywhere. Daily delicious BREAKFAST can be prepared every morning on your villa for all guests cost $5 per person. Stocking food from supermarket and cooking lunch or dinner. The Villa has a great location, in the Villa neighborhood, quite big very beautiful garden. Green Park before the villa that surrounds it’s main entrance, which creates comfort and peaceful atmosphere. You can not hear any sound from the roads, so you can enjoy the harmony with the nature. 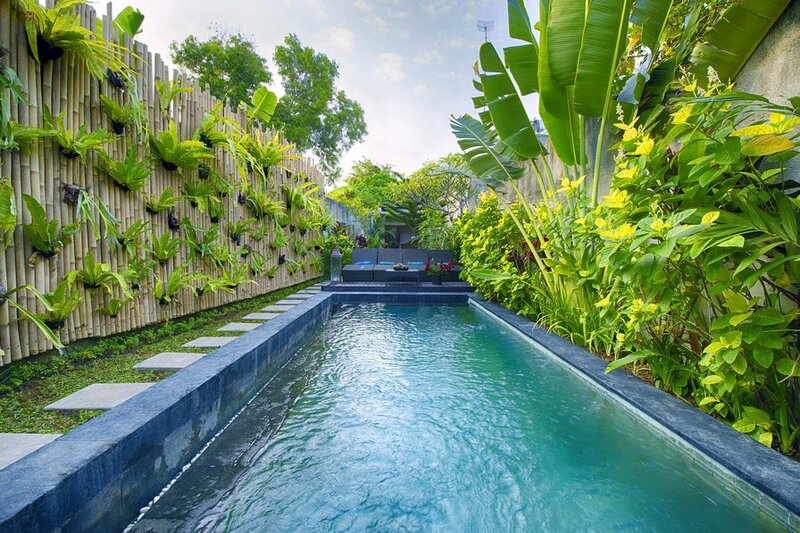 Though Villa is located not far from the central Seminyak. Only 10 min walking from restaurants, bakery, etc. Villa located in a quiet and safe neighborhood within a walking distance from the beach, shopping and dining places. You can easily walk to everything. Wherever you don’t want to walk you can go by taxi. Taxis are inexpensive and easy to find. To explore more remote parts of Bali such as Tabanan, Ubud, Bedugul, Amed or the Bukit a private car and driver can be hired daily. It is cost USD $50 for 8 hours including petrol. Villa has a private parking and easy and fast access to any part of the Seminyak-Kuta areas, and only 20 mins away from Denpasar airport.